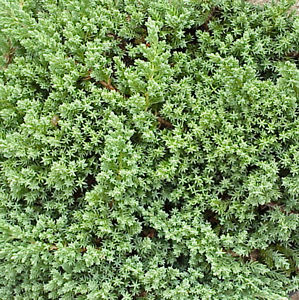 Green Mound Juniper is a slow and low growing and is often used as a groundcover because of its height and cushion-like appearance. Its needle-like leaves are a blue-green color sharp points in groups of threes. Juniperus procumbens ‘Green Mound’ reaches 8 inches high and 6 feet wide at maturity.